Let us do the work for you and find a custom package or product, hand-picked for your vehicle. We carry car audio and video packages along with lighting packages, security packages and accessory packages for the interior and exterior of your vehicle! 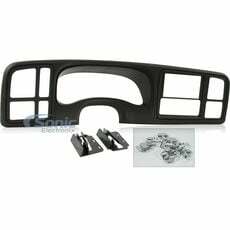 Vehicle Specific Products take the hassle out of finding the right product for upgrading your car. 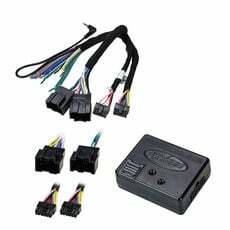 We have a wide selection of vehicle specific products like wiring harnesses, Bluetooth integration kits, backup cameras, subwoofer boxes and more. 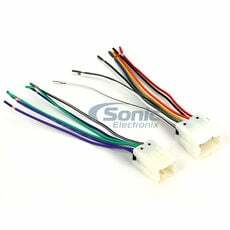 When installing a new car stereo, you can get a wiring harness specifically made for your vehicle to make the install a breeze. 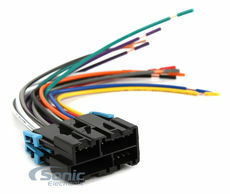 No splicing plug and play harnesses will take less time to install and simple enough to do it yourself. Bluetooth has become a very popular feature for cars. You can stream music from your phone or Bluetooth enabled device and make hands-free calls. Having Bluetooth in your car is a safer and more convenient option. With a vehicle specific Bluetooth integration kit, you can have Bluetooth in your car without any hassle. Vehicle Specific Backup Cameras are made to look like the Original Equipment from the Manufacturer. The integration will look clean as if the camera came with the car when you drove it off the lot. Vehicle Specific Backup Cameras are the ideal product to add a nice safety solution to your car. Manufacturer's like JL Audio have come out with Vehicle Specific Subwoofer Boxes that look as if they came with the car. You can add the perfect amount of bass to your car without having to sacrifice space and aesthetic. Vehicle Specific Subwoofer Boxes take the hassle out of finding a subwoofer box that will not compromise your trunk space.